Solo piano? Solo a cappella? Folk guitar? Jazz? Contemporary improvisation? Take your pick… Dylan does them all. Fluent on multiple instruments and multiple styles, Dylan can create a program that crosses boundaries without missing a beat. 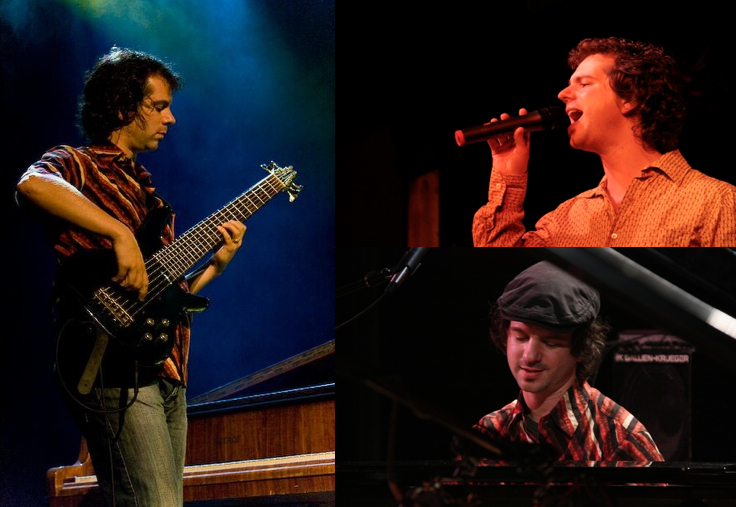 Variety is the spice of life, and Dylan’s performances effortlessly combine elements of jazz, pop, world music and contemporary improvisation, from Bach to Bird to the Beatles. As engaging as he is versatile, Dylan gives the audience an entertaining and exciting experience. Dylan joins forces with the multitalented Suba Sankaran to create the FreePlay Duo. 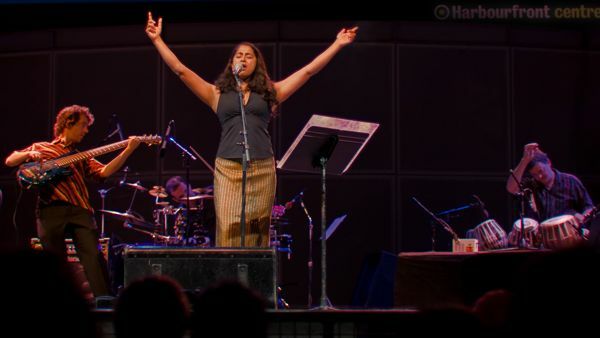 Described as “inspired eclecticism”, Dylan and Suba will take you from the concert halls of Europe, to the jazz clubs of Manhattan, to the temples of India, and back to the cultural mosaic of Toronto… all without leaving your seat. Both vocalists and multi-instrumentalists, Dylan and Suba combine and re-combine styles and configurations to give a sound far larger than two people might suggest. A wide-ranging repertoire and a genuine desire to connect with people mean that the FreePlay Duo can create a program to engage any type of audience. Autorickshaw’s music lies on the cultural cutting edge, as contemporary jazz and funk easily rub shoulders with the classical music of India. Dylan plays multiple roles in this band depending on the lineup: sometimes six-string bass, keyboards (sometimes simultaneously! ), and vocal percussion. For pure acappellatude, look no further than Retrocity. Eight totally rad singers electric boogaloo their way through your favourite tunes from the 80s and beyond, without a Casio or drum machine in sight. You haven’t lived till you’ve heard “One Night In Bangkok” or a shreddin’ guitar solo a cappella. Dylan sings tenor/alto/vocal percussion and secretly dreams of being Stuart Copeland… or Ferris Bueller. From the creative minds of Autorickshaw, Bollywood Rewind takes you back to the heyday of Hindi films, when the gangsters were really gangsterish, the heroines incandescently fabulous and the music completely over the top. Dylan is the “octopus man”, covering massive horns, shrieking strings, creepy organs, wacky synths and the occasional surf guitar, all with 88 keys and 10 fingers. Dylan sings tenor in this SATB a cappella quartet. A spinoff of the award-winning Hampton Avenue, HA4 specializes in swinging big-band style jazz, and the luscious sounds of vocal groups like Singers Unlimited and Take 6. There’s an awful lot of them! To see who else I play (or have played) with, check out my C.V. (the stuff about other bands is on page 3). In the string department, I started high and ended up low. I held the illustrious chair of “special violin” in my youth orchestra at age ten. I was quickly removed to the cello, before settling on the bass at age 17. I played upright bass as a student at York University — and still have the blisters to prove it. I now play electric basses, including the six-string and the ever-feared fretless — and yes, I play it in tune. Early years spent “in the trenches” as a cruise-ship pit orchestra player gave me a strong foundation in multiple music styles, sightreading, on-the-spot flexibility, and a lifelong aversion to white pants and deck shoes. As a bassist, I’ve played jazz with the FreePlay Duo, world fusion with autorickshaw and Kobena Aquaa-Harrison, R+B/Soul with the Soul Foundation and guitar-based roots music with Ray Montford. Performance highlights include the Stockholm International Jazz Festival, an Irish Yoga retreat, and a former Rajah’s Palace in Jaipur, India. If instruments are languages, then the piano is my mother tongue. Originally classically-trained, I joined the Dark Side when I found my Dad’s copy of Miles Davis’ Kind Of Blue and became hooked on jazz. I eventually found myself studying jazz and contemporary improvisation at York University, and wound up with a Specialized Honours degree. But it didn’t stop there: my curious ears and hunger for musical knowledge keep my playing style wide-open. I’ve played with all sorts of people in all sorts of styles: straight-ahead jazz (solo, FreePlay Duo), R+B/soul (the Soul Foundation), world fusion (Autorickshaw , Kobena Aaqua Harrison), contemporary free improvisation, classical-meets-electronica (Lara St. John), rock (Honeymoon Suite)… and just about anything else in between. I probably wouldn’t win any prizes for speed or technical athleticism: I’m about trying to be a sensitive, communicative player, bringing a unique voice to the table while remaining open and faithful to the music and the moment. According to my grandmother, I made my performance debut at age three, singing “O Danny Boy” to strangers at the doctor’s office. I kept a slightly-lower profile until age 16, when I made my stage debut as the Major-General in a high school production of “Pirates of Penzance”. Throughout university, I sang in and directed Wibijazz’n’, the York University contemporary chorus, where I developed my jazz chops and my love for a cappella singing. 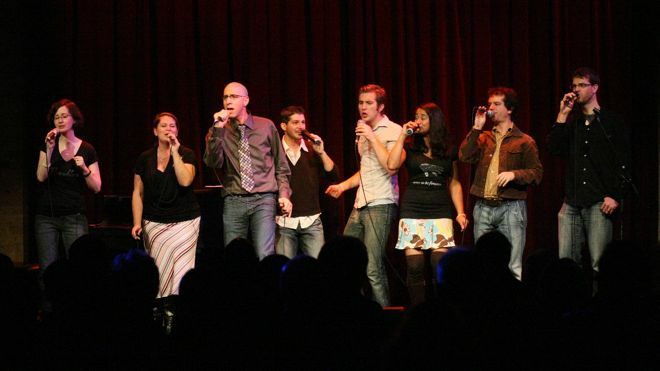 I’ve been singing professionally, a cappella and otherwise, nonstop ever since. 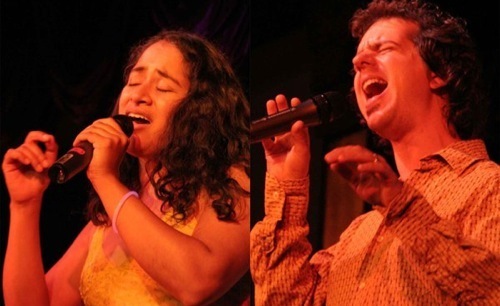 Over the years I have developed an extensive network of fantastic singers, and also work as a vocal contractor. As a producer, arranger and performer, I am familiar with all angles of production. I understand what you need, and I know who can deliver.